This is a family oriented practice, with a total of 1,950 patients over the past 24 months, and 1,270 hygiene patients in the past 12 months. 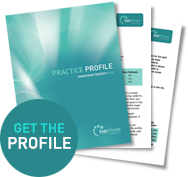 The practice has a strong new patient flow exceeding 200 a year. This well-established practice features 4 operatories worked into a very cost efficient 850 square foot suite, resulting in very low occupancy costs. The practice is well equipped with most equipment less than 12 years old. Lease costs are currently around $27,500 per year, with a lease that runs until 2019 with two 5 year renewal periods after that. For personal reasons, the vendor will only be able to do a limited transition of one day per week for several months, or less if you prefer. An appraisal will be available during the week of April 13th, and the first showings, by appointment only, will be scheduled for Sunday, April 19th.